Race Hard, Clean, and Fair. Have Fun! 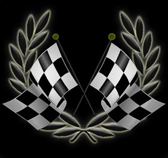 Welcome to Finish Line Racing, Guest! Please be sure to read the FLR Offical Acceptable Use Policy! Please remember to become a fan of FLR on Facebook and follow @FLR_League on Twitter for all news and updates! 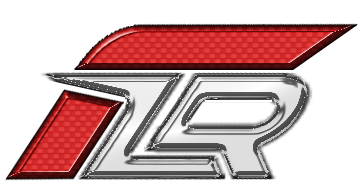 If you need any Official FLR decals, just search "FLR" on the storefront! What music do you like to drive to? Now i'm listening most of the time, Hardstyle, Reggeaton. Hardstyle is poo, it's not hard nor is it stylish. I have a weird mix, sometimes I have some Muse, Kasabian, Coldplay and such, other times I have some Deadmau5 and David Guetta on the go. I like classic tunes as well, Dire Straits and some old 80/70's stuff. I even like Motown stuff. i'm thinking of making use of this general tip, see if it works, where you set Forza game volume to 0 and play music from your HDD so it serves as BG music to the game. prolly REM and Stones too. Ill add some to my list shortly. Got some great new singers on my iPhone recently. i listen to all kinds of stuff from norah jones to liquid tension experiment, blues, jazz, old school rock , 80's hair metal, and sometimes tunes that i have to learn for a gig or whatever. lately i've been listening to alot of guthrie govan and john petrucci, paul gilbert type stuff. nothing like instrumental prog rock to get you goin. i'm actually having a tough time finding a way to use my mic while having the music and xbox sounds up loud enough for me to enjoy it. i tried a small plastic cover but it didn't work so well.. i may switch to an empty sharpie with some holes in it for the voice to come through.. any ideas? Get a set of headphones like the Turtle Beach's. You can have the game sounds and music as loud as you like without interfering with the mike. i hate headphones.. i gamed with headphones for years before i finally was able to buy a house.. i crank that cornbeef now! since my stuff is a little odd, i put some links up for you guys to check out. oh and i forgot.. lots and lots of government mule. hands down the best traditional rock band of the last ten years. if you like hard classic rock ala zz top, cream, black crowes, etc.. you should listen to gov't mule. i could go on too..
i think i have 12,000 songs on my MP3 server.. and i always want more. The only times I don't listen to music are sleeping and playing Forza. I like to be able to hear the tires above all else and then the engine so I don't have to keep an eye on the tach for shift points. In real life driving I don't know if it makes me drive any better but definitely more aggressively with loud classic rock playing. The new Maroon 5 album is pretty good. Don't knock it, I know all of their old stuff was pure crap. this gets me "in the mood"
don't knock maroon 5. play that stuff on stage and it's a parade of... well.. lots of women dancing. Subject: Re: What music do you like to drive to?